DWM Construction was established to provide homeowners in Central Maryland with the upmost quality and detail orientated roofing services available. Unlike other companies that offer a wide variety of services, DWM deals strictly with your roofing needs. We are roofing specialists so you can trust that you are in good hands when we are taking care of your home. Our teams of highly credentialed roofing installers are among the best in the business. Our expert staff is readily available to answer any questions that you may have before, during and after the job is complete. 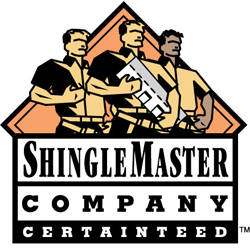 We are labeled as a Shingle Master Company, a credential from the CertainTeed Corporation, and GAF Certified Weather Stopper Roofing Contractor. This allows us to offer extended warranties direct from the manufacturer on their products. We strive to offer our customers with 100% satisfaction. At DWM we believe that getting a new roof installed on your home is more than just nailing on shingles. It is a unique overall process. Our process includes outstanding communication between our staff and the homeowner, from the initial call to well after the job is complete. We provide the highest quality materials, installed by the best craftsmen in the industry, all backed by some of the best labor and material warranties in the business. We believe that this is why 80% of our business comes from repeat customers and referrals. 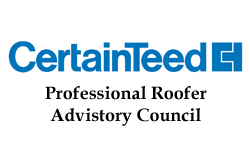 We are active and respected members of the CertainTeed Advisory Council: A board of selected roofing picked by the CertainTeed Corporation that meets annually to discuss roofing and exterior solutions. As active members of the community we participate and contribute to various local charities and organizations. We are proud contributors to: St. Jude’s Children Research Hospital, the Special Olympics, local food drives and community 4-H programs.